Contains Q4 Mycorrhizal Fungi for the best possible start for your trees and shrubs. With Q4 Rootmore Mycorrhizal Fungi, Vitax Tree & Shrub Planting Feed will give plants and shrubs the best possible start. Containing all the vital plant foods in their natural, organic form, the added Mycorrhizal Fungi and a range of biostimulants aid vigorous root growth to help plants quickly establish their root system. Feeds right through the first year. Tree & Shrub Planting Feed has been formulated to target the root system and help trees and shrubs to develop robust, healthy roots. Used for both planting out and ongoing care, the feed can also be used for fruits and roses. 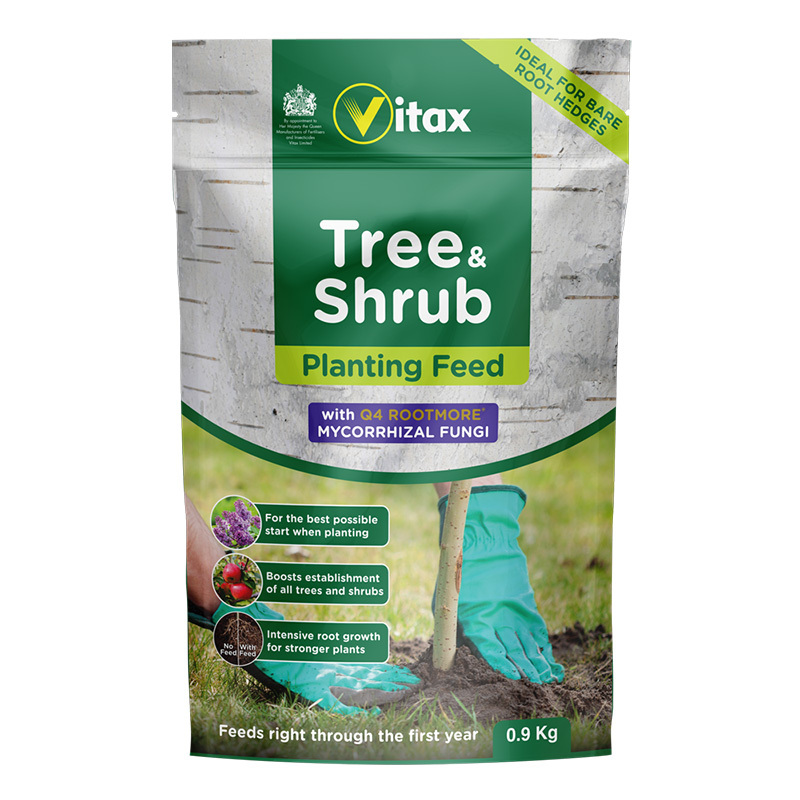 If you would like further information about Vitax Tree & Shrub Planting Feed with Mycorrhizal Fungi, please contact our garden centre at Shawbury just outside Shrewsbury in Shropshire, by calling 01939 251315 or emailing.